Al Qaeda expert and CNN national security analyst Peter Bergen paints a multi-dimensional picture of the hunt for bin Laden over the past decade, as well as the recent campaign that gradually tightened the noose around him. Other key elements of the book include: * A careful account of Obama's decision-making process throughout the final weeks and days during which the raid was planned, as well as what NSC cabinet members were advising him. 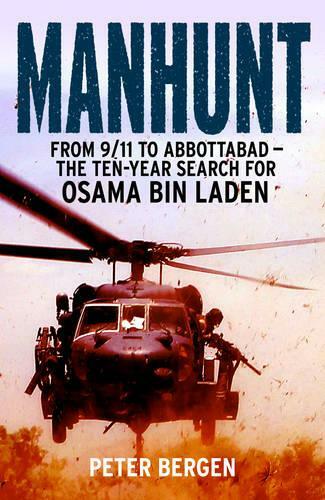 The fascinating story of a group of (mostly female) analysts at the CIA in the HVT (High Value Target) section, who never gave up assembling the tiniest clues about OBL's whereabouts. * The untold and action-packed history of the Joint Special Operations Command (JSOC) and the SEALs, which accounts for the confidence Obama had in tasking them with the mission. * An analysis of what the death of OBL means for al Qaeda, for the wider jihadist movement that looked to him for inspiration and strategic guidance, and for Obama's legacy.